The Working Stiffs paint wry lyrics of quirky scenes over rock grooves with roots in jazz, R&B, and pop. Sparse keyboard and guitar over a tight rhythm section give the band’s sound it’s driving cool. The first time you hear the music, it’s familiar like a song on the radio that you sit in the driveway to hear out. McMenamins’ White Eagle Saloon is a favored haunt. But The Working Stiffs have filled other Portland-area rooms, including The Blue Monk, The Gemini Bar & Grill, The Lucky Lab, and O’Connor’s, in Multnomah Village. 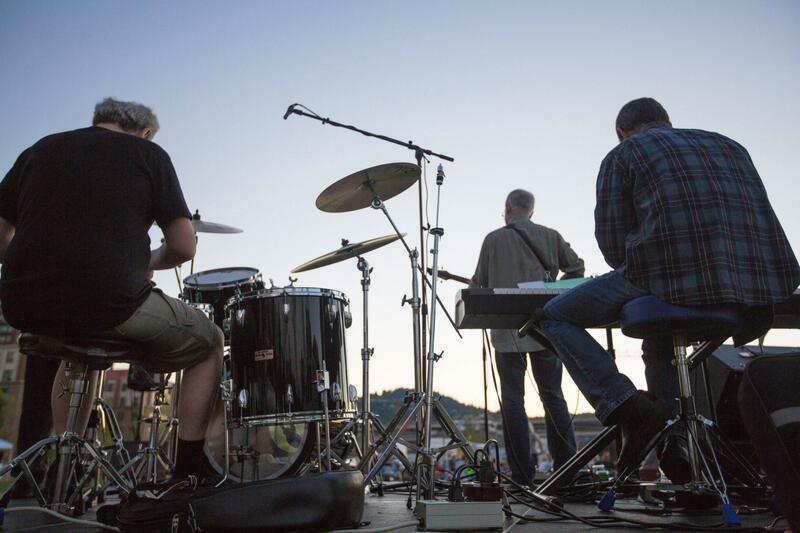 The band may be best known for nearly a decade of summer shows in Portland Parks & Recreation’s Movies in the Park series, where Portland’s KGW Channel 8 interviewed The Working Stiffs and broadcast a performance one summer evening.